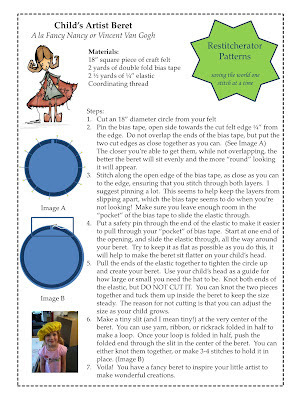 The Restitcherator: Child's Artist Beret - First Published Tutorial (PDF)! Child's Artist Beret - First Published Tutorial (PDF)! I have no idea why these things take me so long. 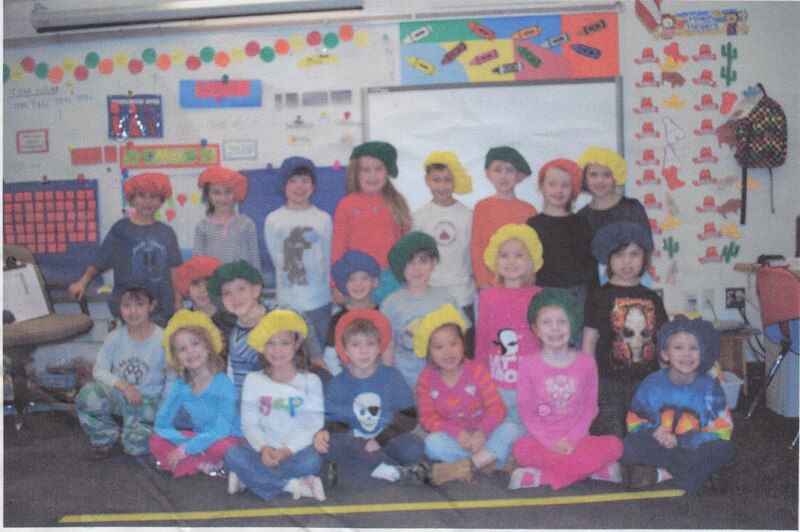 I originally made these berets when my daughter was in kindergarten and doing a unit on Master Artists. She's finishing second grade now. Sheesh. Ally is in the front kneeling row all the way to the left with the turquoise top. 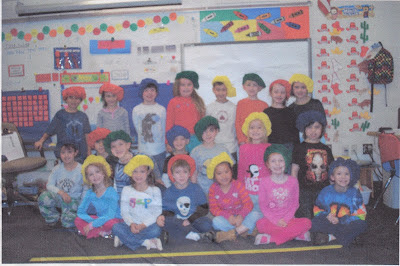 I made 25 of these berets in primary colors, so all of her classmates could "feel" like Master Artists as they reproduced various artists' styles. I was told the kids LOVED them and were sad to have to give them back to the teacher at the end of the segment so the next year's class could use them. 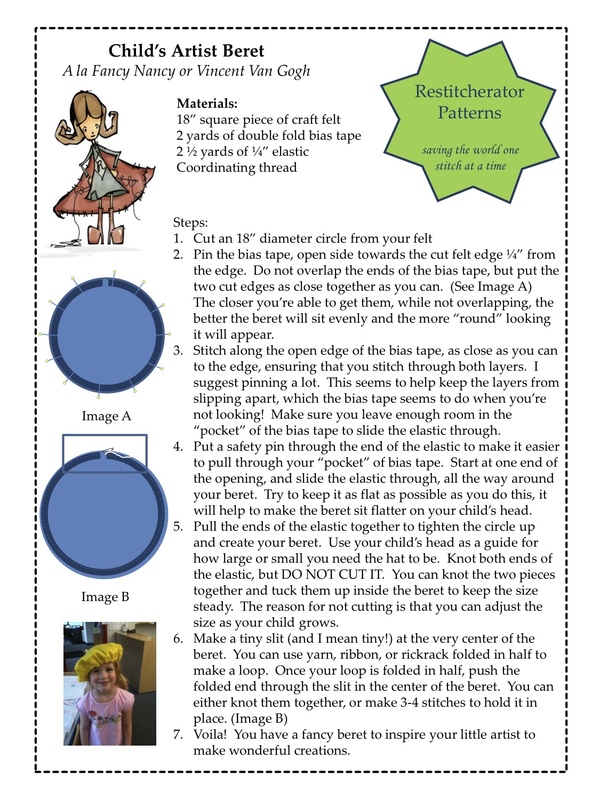 I've put the directions into a single page, PDF format, so you can print it out and make berets for your own little artists. Click on the underlined link to print it out. The image below is so you have an idea of what it should look like. Please, please if you make them, send photos to me and I'll share them here! !